This inevitability is even enshrined in the tax code, which gives educators a $250 deduction for their trouble. In hammering out their big tax overhaul, Republicans decided to preserve that deduction. So we thought we would ask teachers how much of their own money they spend each year. 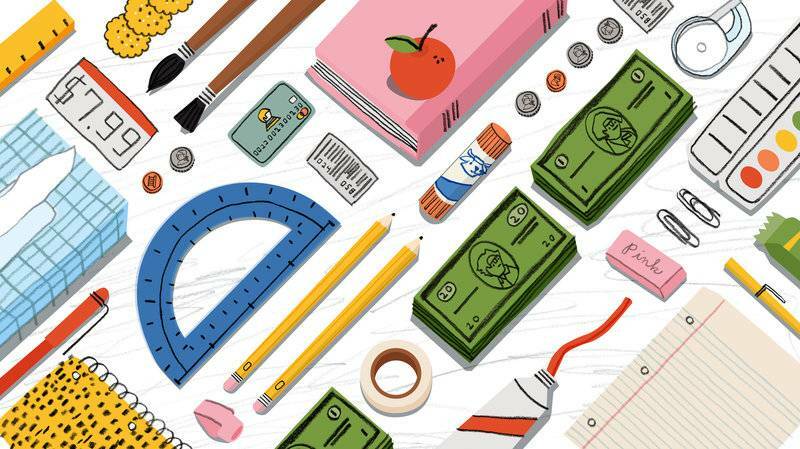 If you're an educator, how much do you spend on supplies? Mrs. H. Lyke@TeacherLyke In an average year: around $1000 (professional development books, office supplies, tissues, art supplies, snacks for students who don't have food at home, etc.). Also, the more impoverished your student population, the more you spend. Steve Peterson@insidethedog For years, I've spent between $500-1,000 per year: books for the classroom, subscriptions for digital tools, blogging platform fees, teacher tools, science supplies, kid-clothing and supplies, etc. What supplies do you typically buy for your students? Rachel Fielhauer@r_fielhauer Extras- notebooks, pencils, glue sticks, folders, etc. Students have lists but if a student can’t afford, they need to have supplies. And those run out in the school year. Sometimes parents or community will donate extras but not always.